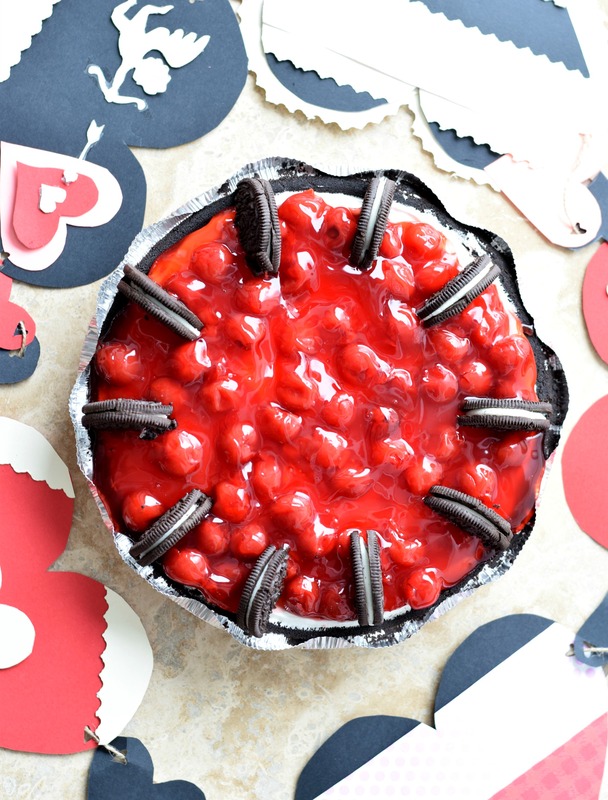 I’ve been looking for a fun dessert to throw together for Valentine’s Day and as tempted as I was to try one of these amazing recommendations, I wanted to do something super easy that took very little prep time. 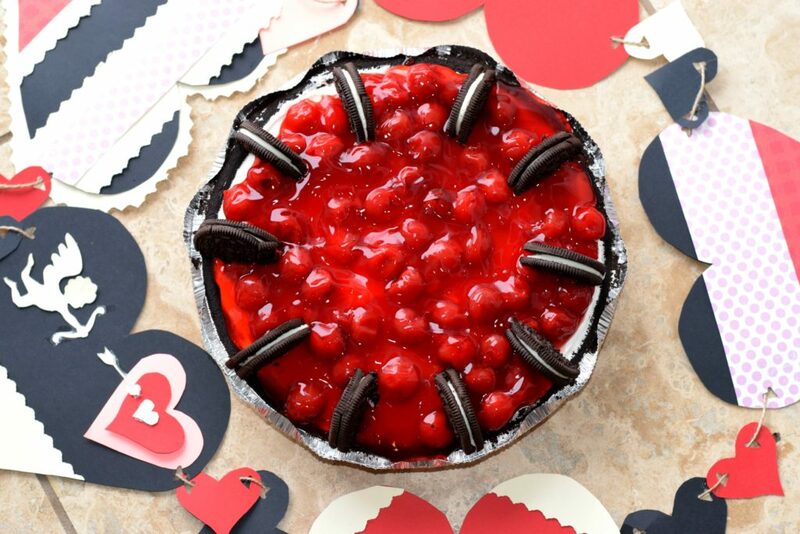 One of my all time favorite red desserts is my mama’s Cherry Cheesecake. Prep time is like 5-10 minutes! 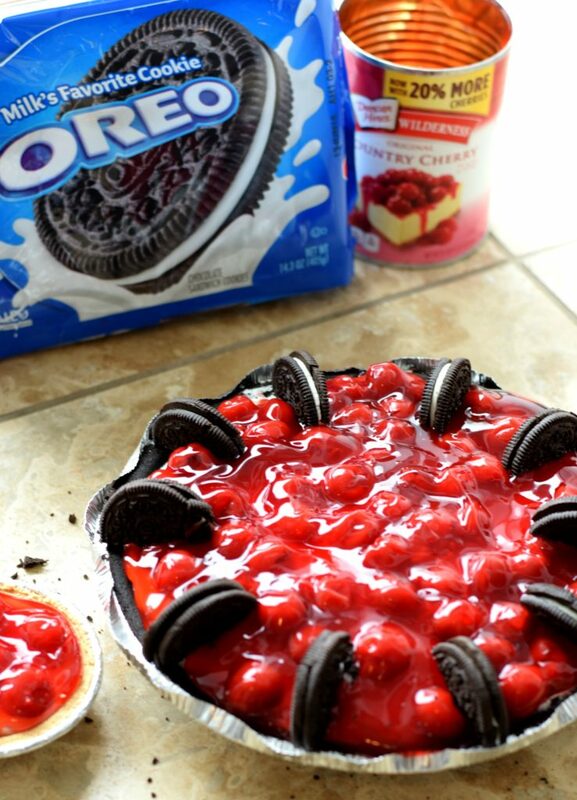 Who doesn’t have 5-10 minutes to make a cheesecake?? That’s a big CAN DO over here- even with child in arms. Just kidding, lets not get crazy. 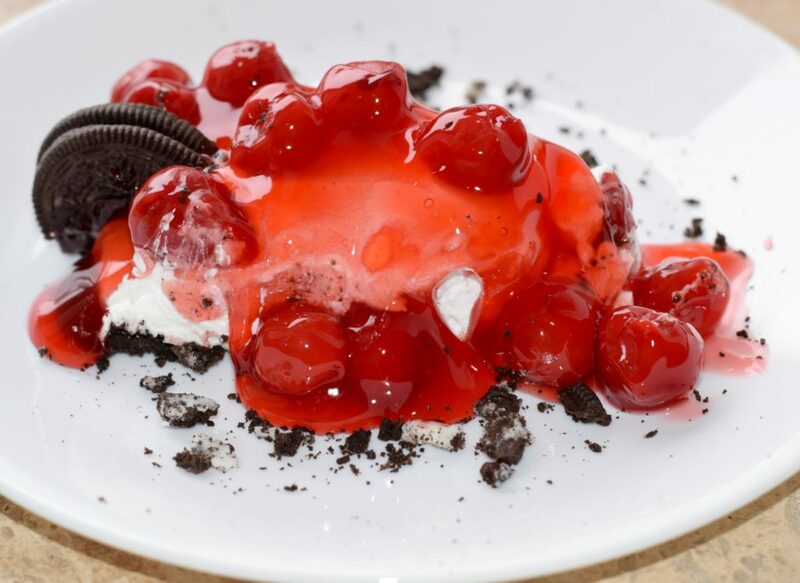 Cherries aren’t exactly my favorite fruit but I absolutely love them in cheesecakes and cobblers. I also noticed a package of Oreos sitting in my cupboard just begging to be incorporated so here’s the result! Next time I think I’ll do little dollops of the filling in between the Oreo halves. For a much sweeter recipe: mix together 8 oz cream cheese, 1 can of sweetened condensed milk, 1 tsp of vanilla, and 1 tsp of lemon juice. 1 Routine that will Keep your House Clean!